It was 1st May 1915, when Alfred E Haigh opened the doors of the very first Haigh’s Chocolates store at 34 King William Street, Adelaide. Alfred began adding his own flavour to the industry and in 1917 he started producing chocolate-covered fruit centres, which we still make today. Business was booming and it was time to expand. In 1917 Alfred bought the family home and land at Parkside South Australia where he built a small factory, now the Visitors Centre. In 1922, he moved shops to the Beehive Corner – still our Adelaide flagship store. Sadly, in 1933, Alfred passed away suddenly. His son Claude took over the running of the business, which had by then grown to six stores. During the war years, supplies were difficult. Yet despite the sugar rationing Haigh’s managed to keep on trading, making boiled sweets and wrapped toffees for the armed forces. Alfred’s grandson, John Haigh, joined the business in 1946 with a vision to take Haigh’s chocolate making to new heights. He trained in Switzerland with Lindt and Sprungli and visited the US to look at production, shop styles and marketing. 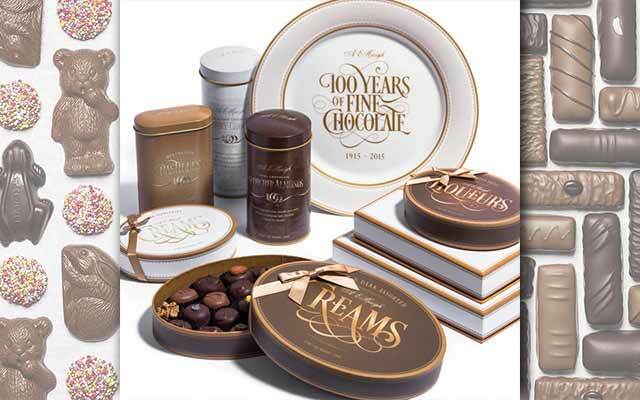 John revolutionised the way we manufactured our chocolate and in 1959 became Managing Director. During the 1950s and 60s, Haigh’s chocolates were also sold at the movies. In those days, movie-goers bought their treats from the Haigh’s counters and the Haigh’s ‘tray boys’ and ‘tray girls’ who stood at the front of the screen during interval. In the 1960s television took over from cinema as a form of entertainment so John Haigh looked elsewhere to grow the business. 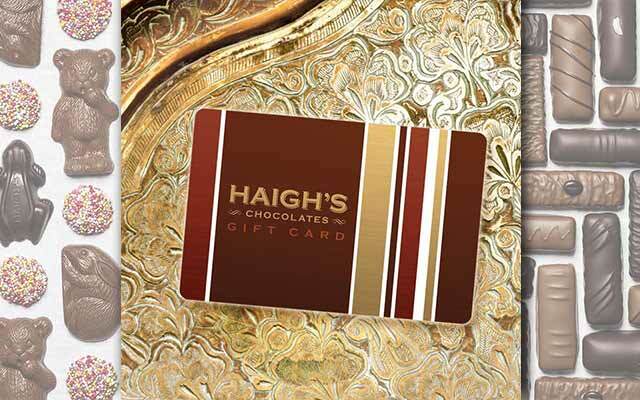 In 1965 Haigh’s opened the first store outside South Australia, in Collins Street Melbourne, where Haigh’s chocolates proved to be just as popular. 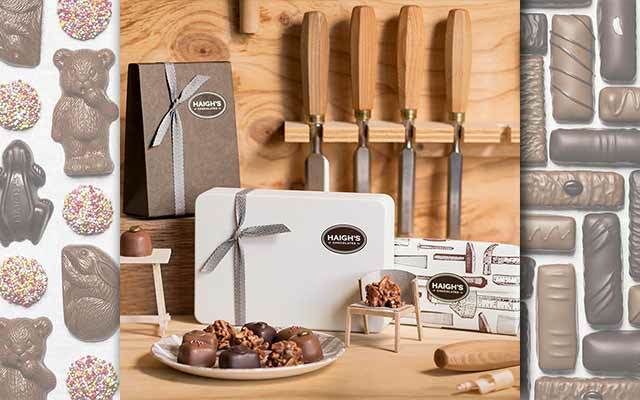 At Haigh’s we’re very proud to be the oldest family-owned chocolate maker in Australia. Today the company is run by fourth generation Haighs, Alister and Simon, who started in the 1970s and had to work their way through all areas of the company. They’ve been joint Managing Directors since 1990, with John Haigh Chairman of the Board.